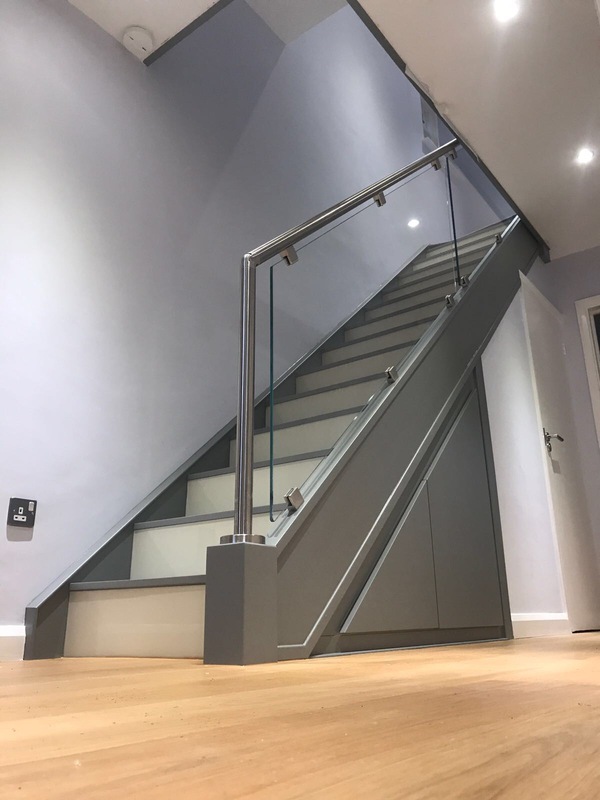 Every staircase we create is totally bespoke, which means that it’s designed to fit perfectly into your home and suit the lifestyle that you lead, as well as your budget. Whether it’s a modern, minimal look or a more traditional classic style, simply tell us what you want and we’ll create it. We design and install renovations in all types of properties, including residential, new builds and commercial sites. 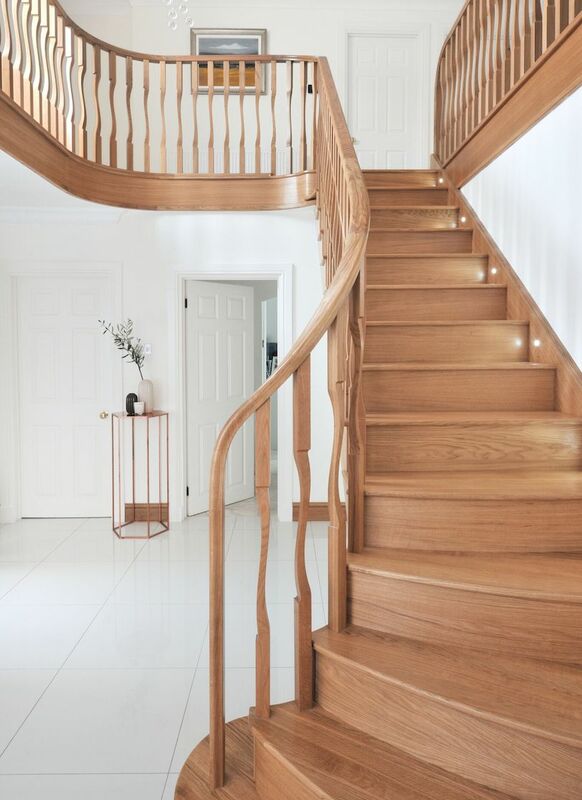 While a traditional medium for staircases, wood can be used in a number of innovative ways to create modern, inspirational designs. 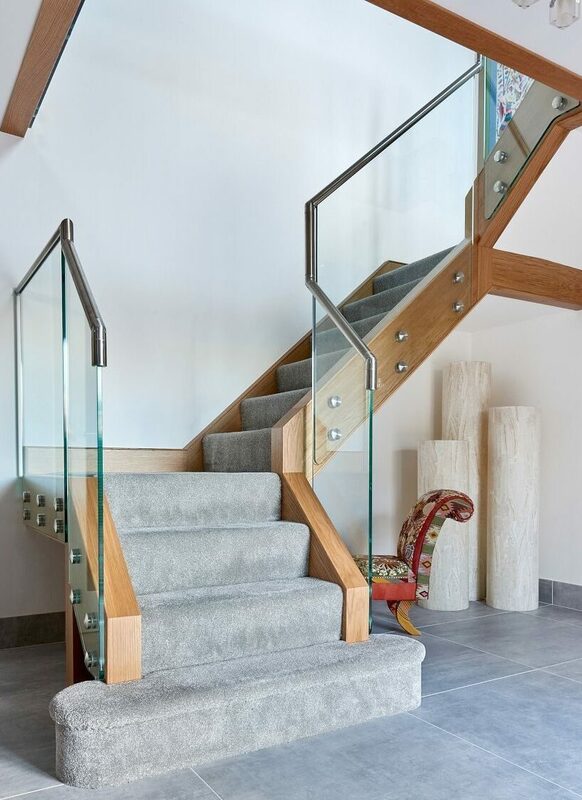 If you want a light, spacious and modern staircase, a combination of glass and natural wood is the perfect solution. 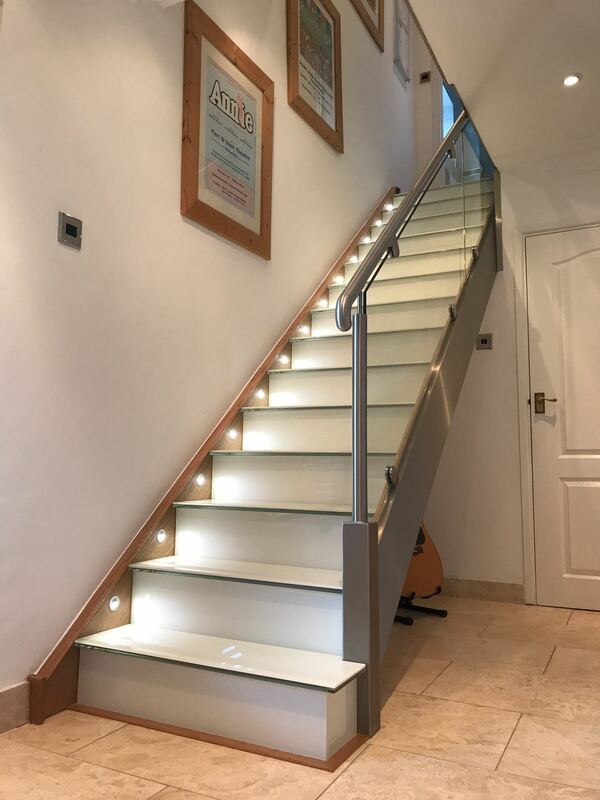 Whether polished and gleaming or brushed to a subtle sheen, adding metal features to a modern timber or glass staircase can give it an extra dimension. 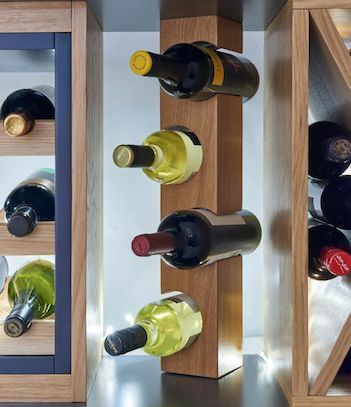 As well as under stair wine storage, we offer bespoke fitted furniture, including home theatres, studies and bedroom furniture. 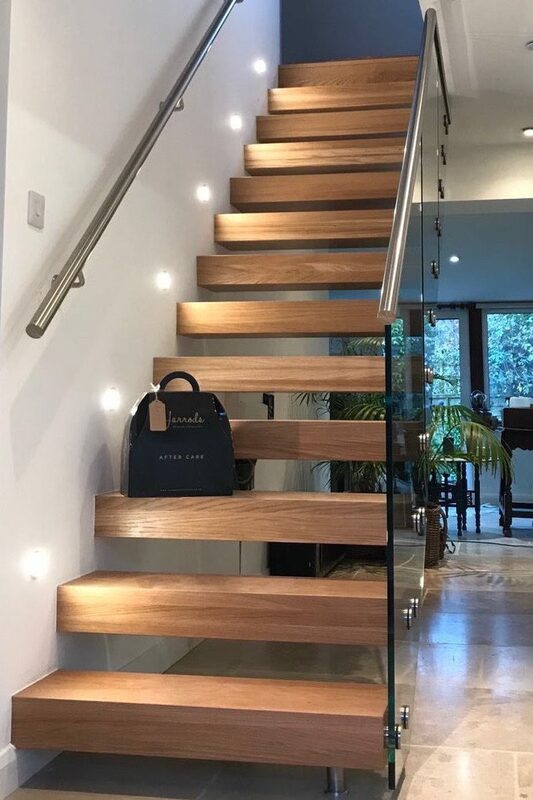 Not only did they work closely with us – and really listen – to present us with a design we loved but the design team were even able to match the natural oak of the staircase to the Karndean flooring that we had chosen. No other company could do this for us! The designer was personable and instantly put us at ease. Their customer service was excellent, nothing was too much trouble and they really understood the design we were after. 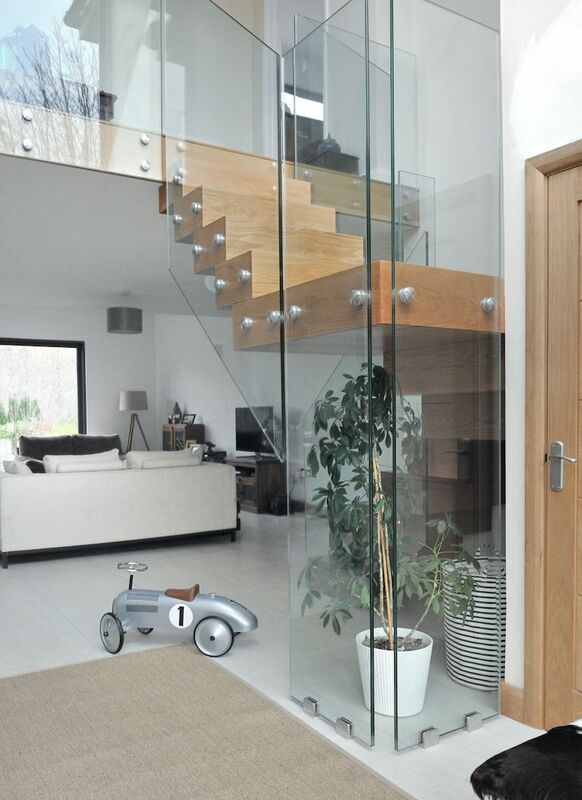 We discussed at length the options of going for integral or bracketed glass – every detail was important! They stood out clearly from the competition and were a delight to use. A job that could have taken weeks, and not been entirely what we wanted, happened quickly, professionally and without fuss. The installation team were punctual and worked tirelessly to complete the job speedily. We were hugely impressed!